Litigation is an adverse proceeding in which there are often times a clear winner and loser, which is often determined at trial. In my experience as a civil litigation defense attorney, I can tell you that it is also a rather lengthy and expensive process. As a result, a large number of civil cases settle, an alternative form of resolution, prior to even reaching trial. In addition, the courts also encourage and attempt to facilitate settlements amongst parties, through mandatory settlement conferences, fostering alternative dispute resolution amongst the parties by way of mediation or arbitration, or persuasion of the judges themselves, as a way to promote judicial economy and efficiency within the court system. In California, settlement offers are governed under Section 998 of the California Code of Civil Procedure (often called “998 Offers”). The offer shall make a statement of the amount of settlement requested, and any terms and conditions the party seeking settlement would want to impose on the settlement agreement, as well as a provision allowing for acceptance of the offer by the accepting party and the signing of such acceptance of the agreement. In addition, there are certain requirements to impose a Section 998 offer. First, the offer must specifically refer to Section 998 in its offer, a mere offer for settlement is not enough. Second, only reasonable, credible offers will be accepted. “[T]he pretrial offer of settlement required under Section 998 must be realistically reasonable under the circumstances of the particular case.” Wear v. Calderon 121 Cal. App. 3d 818, 821 (1981). Additionally, only unqualified acceptance of a 998 offer is enforceable and in the case where there are multiple parties. If a party accepts the offer, the signed offer is thereby filed with the court and judgment is entered. If the accepting party fails to accept the offer prior to the commencement of trial or within 30 days, by whichever occurs first, the offer is deemed withdrawn. 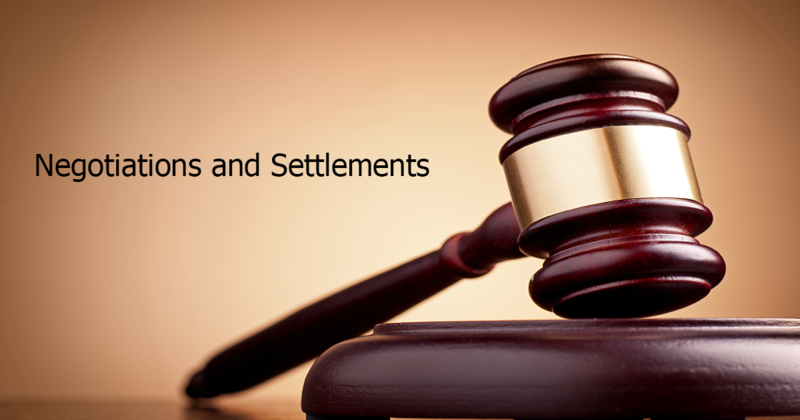 While Section 998 offers seem to simply lay out the requirements for settlement, and are in effect beneficial to achieving its primary purpose of encouraging settlement, this statute is rather deceptive in nature. While the expense of trial is one reason to accept such offers, the main incentive behind the acceptance of Section 998 settlement offers derives from statutory conditions imposed, such as monetary penalties, on the parties for failure to accept such offers. In the Bank of San Pedro v. Superior Court, the Court found that the policy behind Section 998 offers “is to encourage a settlement by providing a strong financial disincentive to a party – whether it be a Plaintiff or a Defendant – who fails to achieve a better result than that party could have achieved by accepting his or her opponent’s settlement offer.” 3 Cal.4th 797, 804 (1993). More specifically, Section 998 imposes statutory penalties, both mandatory and discretionary penalties, on parties who reject such offers and fails to reach a more favorable result at trial or binding arbitration. While the language of Section 998 is straightforward, the effect of such penalties is dependent on whether it is the plaintiff or the defendant that makes the offer. Offers by a Plaintiff. If plaintiff makes a Section 998 offer, and a defendant rejects the offer, and fails to achieve a more advantageous result at trial, the Court imposes penalties on the defendant. When this situation arises, a court may impose additional costs on the defendant for reasonable costs incurred by the plaintiff such as expert witness fees, and a pre-judgment interest of ten percent per day beginning on the date of plaintiff’s first Section 998 offer to the date of judgment at trial. CA Civ. Code §998(b). On the other hand, offers by a defendant may have a more of a significant impact on the decision of a plaintiff to agree to settlement, for there is a greater harm imposed on a plaintiff for failure to accept a 998 offer and obtain a more favorable result at trial. Offers by a Defendant. In the instance where a plaintiff rejects the defendants’ Section 998 offer and fails to obtain a more favorable judgment at trial, the plaintiff is no longer entitled to recover court costs, and must pay the costs of the defendant from the time of the offer to the time of judgment at trial. The court also retains discretion on whether or not to award all costs incurred by the defendant in defending the lawsuit as well as reasonable costs sustained in preparation of trial, such as fees for expert witnesses. In this occurrence, if the awarded costs exceeds plaintiff’s recovery from trial, the court will enter a judgment against plaintiff for the difference payable to the defendant. CA Citv. Code §998(c). While the risks of Section 998 penalties are worrisome, generally there is not enough of an incentive to settle. Often times the point in which a 998 offer is received the parties have already committed to the expense of litigation. Although such offers may not be accepted, they do have the benefit of helping to initiate communication discussions between the parties, where a less invasive agreement may be reached. 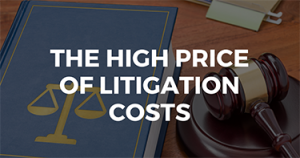 Therefore, my advice as a civil litigation attorney is that it is always a good idea to settle the case accordingly without resorting to a trial where risks and costs increase. In deciding what offers to make and accept, all discovery should be completed in making a full and informed decision. All offers should be reasonable and practical. Otherwise, the essence of the rule quickly dissipates. Mediation— Welcome relief from civil litigation, or just a waste of time? Mediation is a form of alternative dispute resolution that attempts to help parties facing civil litigation improve communication, minimize harm, and find a compromise that is acceptable to all parties without going to court. A neutral third party-the mediator- assists the parties to negotiate a settlement in a variety of situations, such as legal or family matters. In effect, the mediator’s role is not to reach a decision, but to help the parties reach their own decision. 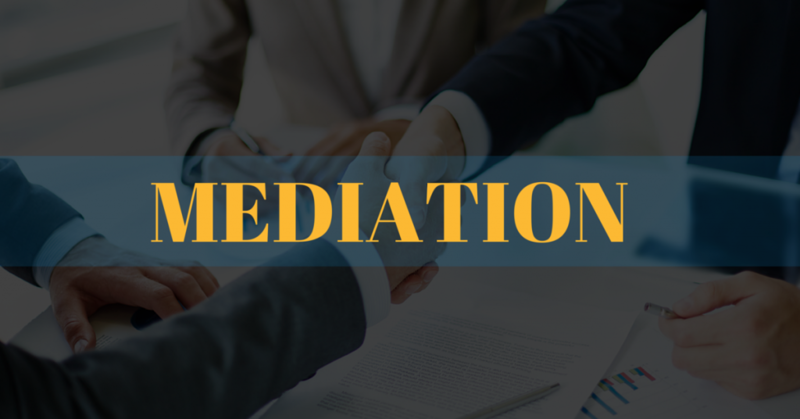 A mediator may charge a fee comparable to that of a civil defense lawyer, but the mediation process usually achieves resolution in a matter of hours or days, rather than the months or years it can take to resolve the issue in court. Usually the fact that involved parties are willing to negotiate means they are ready to find a solution sooner rather than later, which can save everyone involved time and money. Mediation is also strictly confidential, which can be advantageous in a situation in which discretion is important. Mediation places such importance on confidentiality that in most cases the traditional legal system cannot force a mediator to testify in court. As a civil defense attorney in Orange County, I can tell you some mediators destroy their notes taken during meetings once that mediation has finished. The only exceptions to these stringent requirements are mandated reporting situations such as child abuse. Thirdly, mediation is likely to produce an agreeable result for all involved because solutions that emerge are not controlled by a judge or jury. The extra room for discussion usually means both sides get more of what they want. In turn this increases overall satisfaction and further reduces costs because the parties don’t have to hire an attorney to force compliance with the settlement. Finally, mediators are licensed professionals that are trained to work in difficult situations. Mediators are there to guide the parties to think “outside the box”, and their excellent communication skills are often able to preserve the relationship the parties had before the dispute. What are some drawbacks to mediation? Unfortunately, mediation does not always end in agreement. Parties might spend their time and money in mediation only to find they must have their case settled by a court of law. Therefore, opting for mediation does pose some risk. Further, if mediation fails, much of a party’s strategy for building a case to win in court may have already been exposed. Mediation also lacks formal procedures and constitutional protections guaranteed by in court. Parties that exhibit a mismatched level of power or resources may not be able to find a fair settlement since the less well-positioned party can easily become overwhelmed. A timid party runs the risk of losing some of what is legally owed if the other party is aggressive and dominates the process. Additionally, legal precedent cannot be set in mediation. Many discrimination cases, for example, are brought with the intention of not only satisfying the plaintiff, but also with hope of setting a legal precedent which will continue to have a greater social impact. This outcome can only occur if a high court, usually the Supreme Court, hands down a favorable decision on the main issue. Lastly, mediation has no formal discovery process. If one of the parties in a dispute cannot fully address the case without receiving information from the other party, there is no way to compel disclosure of such information. The party seeking disclosure must rely on the other party’s good faith, which may not be enough. If you need a civil defense attorney in Orange County to help you decide if mediation may be a good fit for your situation, give us a call today! We have professional and knowledgeable attorneys standing by to assist you in Fullerton, Brea, Placentia, or anywhere in Orange County. Contact us at (714) 525-5570. As a leading civil defense attorney in Orange County, I get asked this question a lot. An arbitration agreement is a written contract in which two or more parties agree to utilize a neutral third party- the arbitrator- to resolve a dispute instead of pursuing any legal claims against the other party through a lawsuit. The arbitration agreement is usually a clause in a more extensive contract, but may also be a separate document required to be signed by an employee in the hiring process when starting a new job. Arbitration can be voluntary, but in most cases is mandatory when present as a stipulation of a consumer contract or when completing new hire paperwork as an employee. Mandatory arbitration can only come from a contract that is voluntarily entered into by both parties, even without necessarily knowing if a disagreement will ever actually arise. The dispute may be about a faulty product, a claim of discrimination or wrongful termination in the workplace, or a variety of other issues. Presently many consumer contracts for cars, cell phones, credit cards and nearly everything else contain a fine-print clause stating if the customer has a problem with the company, the matter will be handled in arbitration rather than in court. Unfortunately, consumers and employees often don’t know in advance that they have agreed to mandatory binding arbitration by purchasing a product or taking a job. Many retailers also fail to mention the arbitration clause before requiring the customer to sign the purchase agreement. 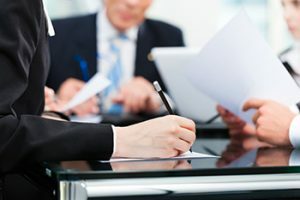 Being aware of the possible drawbacks of arbitration can help you make an informed decision about whether to enter or remain in a contract that mandates it, or whether to choose it as a resolution technique if a dispute does occur at a later time. Firstly, arbitration does away with juries entirely, leaving matters solely in the hands of the arbitrator, who essentially acts as both judge and jury. From most individuals’ and consumers’ points of view, having a jury of their peers is an important right when seeking restitution of a claim. Additionally, arbitration limits the amount of information each side is required to give to the other. In most employment cases, this generally hurts the employee, because the employer is usually the one in possession of most of the documentation relating to the employee’s case. 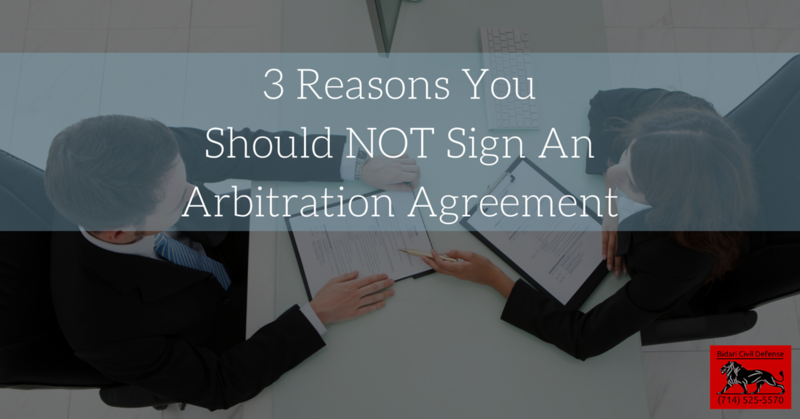 Most importantly, arbitration decisions usually cannot be appealed. If the arbitration is mandatory and binding, the parties waive their rights to use the court system and have a judge or jury decide the case. If the arbitrator’s award is unfair or illogical, a consumer may well be stuck with it without a chance for recourse. Given the possible perils for those who enter into arbitration contracts, the astute consumer or job applicant can take a number of steps to become better informed and possibly prevent a negative experience. Any civil defense attorney in Orange County will tell you to read any and all documents presented in a contract carefully! When you sign a contract, letter, sales agreement or any other document you agree to all the terms enclosed, even those that you didn’t read or don’t completely understand. To protect yourself from unwittingly giving up your rights, don’t sign any document acknowledging you’ve read something and agree to the terms unless you actually have read it and understood it completely. Secondly, pay close attention to any and all changes made to an existing agreement. If a company updates the terms of a contract to include mandatory arbitration, it must notify you in writing first. Some of these notices may come hidden at the back of an envelope itemizing your bill from a credit card or insurance company. Resist the urge to recycle these notices on sight, and read the fine print. Thirdly, don’t be afraid to speak up! If you find an arbitration clause objectionable for any reason, make your feelings known to company management. There may be a possibility to negotiate if the company wants your business, or you as an employee badly enough. Especially in employment cases, you may have more power than you realize to negotiate the terms of an agreement to align with your best interests, just like you would when discussing your salary or benefit requirements. Ask for a clause that provides options for choice of arbitrator and a requirement that if the company does insist upon enforcing an arbitration agreement that they pay for the process, should the situation ever arise. An arbitration agreement that is disputed using the court’s judicial arbitration services is only $150, but if a company insists on using a private arbitrator the parties will be required to pay the arbitrator’s market rate, which can easily turn into thousands of dollars as time goes on. Arbitration can be dangerous and expensive. Be watchful for it and careful before agreeing to it. Mediation, on the other hand is another matter and I will discuss that issue (and its benefits) in a separate blog. Lastly, always remember that even if you do fall within an arbitration clause, you still have the right to be represented by an attorney throughout the arbitration process. 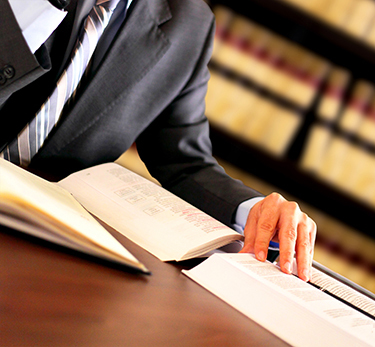 Paymon Bidari is a civil litigation attorney in Fullerton, Orange County. This unfortunate wrongful death case arose out of claims that decedent was attacked by Defendants’ dog causing decedent to fall, break his head and subsequently pass away. Decedent’s estate sought five million dollars ($5M) in this wrongful death case filed in Santa Ana Superior Court. A jury trial was demanded by Plaintiff’s estate. Bidari Civil Defense defended.